A Deal For Junior? 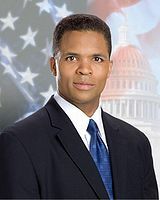 Justice Department Will Reportedly Reduce Charges To Single Count For Jesse Jackson, Jr.
We have been following the disgraceful tenure of Jesse Jackson Jr. who disappeared for months as federal investigators closed in on his corrupt practices. He then was inexplicably reelected despite not running or offering any demonstrable evidence of any effort beyond self-dealing for himself and his family. He then resigned costing Chicago millions to replace him. It was, as noted earlier, just the latest scandal involving the family of Jesse Jackson in Chicago. It will now apparently get worse. Jackson will take a plea that reportedly implicates his wife, Sandi, in criminal conduct. However, for those concerned about the Administration giving a sweet deal to the powerful family of Jesse Jackson, the plea will raise some legitimate concerns if public reports are accurate. [Update: As expected, both Jacksons were charged on one count each. He was charged with misuse of campaign funds and she was charged with tax fraud). The plea will reportedly reduce the myriad of acts of misconduct by Jackson to a single count on the misuse of campaign funds. However, Jackson will implicate Sandi for tax fraud. Presumably, he was also guilty of such fraud since she merely signed off on the documents. The charges include a wide range of purchases for Jackson’s mistress and friends as well as home improvements. With the plea, neither Jackson will likely spend much time in jail. The maximum for Jackson would be 5 years. Notably, while Democrats condemn such conduct, they were aware (since it was reported in newspapers) that Jackson was paying his own wife huge amounts as part of his campaign. Other members of Congress routinely do the same to enrich their families. Jackson will have to repay hundreds of thousands of dollars. Yet, average people go away for decades for stealing such large amounts of money. But this is a Jackson. He will just repay the money and do a short stint on a single count. I have been in cases where the Justice Department use the same small transaction to stack counts against defendants to bury them in felonies. Federal prosecutors openly count stack to drive up the sentences. It is not uncommon to see people go away for a couple decades on the theft of a fraction of this amount. By the way, when Jackson insisted on running for reelection, I wrote about how reelection could be used as a bargaining chip in a plea — to make it look like he was giving up something substantial in return for a sweet deal. In reality he would not have been able to continue to serve since he would likely go to jail. Yet, some in the Administration might have quietly wanted to see the reelection precisely to give the appearance of a tough plea. Of course, it cost the taxpayers over $5 million but it is better than having to seriously prosecute members of the Jackson family. There is ample reason to see this plea as a special deal for the Jackson family and specifically Rev. Jesse Jackson by the Obama Administration. http://www.nytimes.com/2013/02/27/us/voting-primary-jesse-jackson-jr-house-seat.html?_r=0 Candidate that backs gun control wins with with the help of Bloomberg’s gun control PAC.